Learn how easy it is to apply sophisticated statistical and machine learning methods to real-world problems when you build on top of the Google Cloud Platform (GCP). This hands-on guide shows developers entering the data science field how to implement an end-to-end data pipeline, using statistical and machine learning methods and tools on GCP. Through the course of the book, you’ll work through a sample business decision by employing a variety of data science approaches. Follow along by implementing these statistical and machine learning solutions in your own project on GCP, and discover how this platform provides a transformative and more collaborative way of doing data science. Work with petabyte-scale datasets while building a collaborative, agile workplace in the process. This practical book is the canonical reference to Google BigQuery, the query engine that lets you conduct interactive analysis of large datasets. BigQuery enables enterprises to efficiently store, query, ingest, and learn from their data in a convenient framework. With this book, you’ll examine how to analyze data at scale to derive insights from large datasets efficiently. Valliappa Lakshmanan, tech lead on Google Cloud Platform, and Jordan Tigani, engineering director for the BigQuery team, provide best practices in modern data warehousing within an autoscaled, serverless, public cloud. Whether you want to explore parts of BigQuery you’re not familiar with, or prefer to focus on specific tasks, this reference is indispensable. 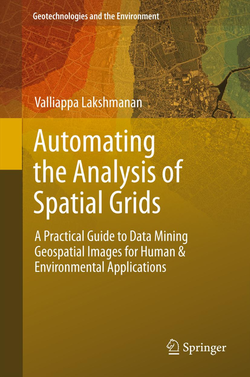 The aim of this book is for readers to be able to devise and implement automated techniques to extract information from spatial grids such as radar, satellite or high-resolution satellite imagery or from any data is that can be placed on a spatial grid.The book is based off a course that I taught in Spring 2011 at the University of Oklahoma to a diverse group of graduate students from Computer Science, Meteorology and Environmental Engineering. It should be suitable as a textbook for upper-level undergraduate students and graduate students. Even though the material developed out of a graduate course, this book is targeted primarily at practitioners i.e. people who need to solve a problem and are looking for ways to address it. Hence, the book forgoes detailed descriptions of theory and mathematical development in favor of more practical issues of implementation. A software implementation in the Java programming language is included for nearly all the techniques discussed in this book. Order a $25 print copy of the book. This works only if you access it from an University IP address. This is an edited volume of contributed papers that arose out of Climate Informatics 2014. I was program chair of this conference, and this was the first year that we were able to put together such a collection of papers representing the state of the science.